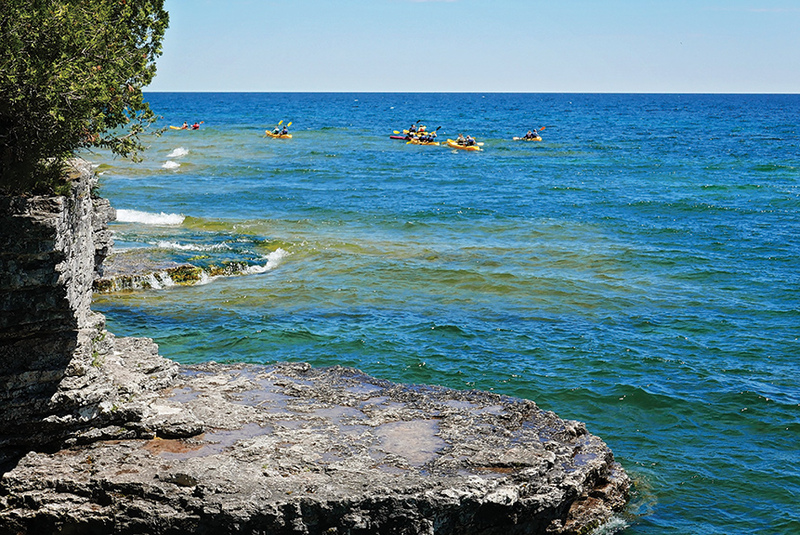 Discover the midwest's hidden gem: Door County, Wisconsin. One of the most photographed lighthouses on the Great Lakes in the Cana Island Lighthouse in Baileys Harbor. 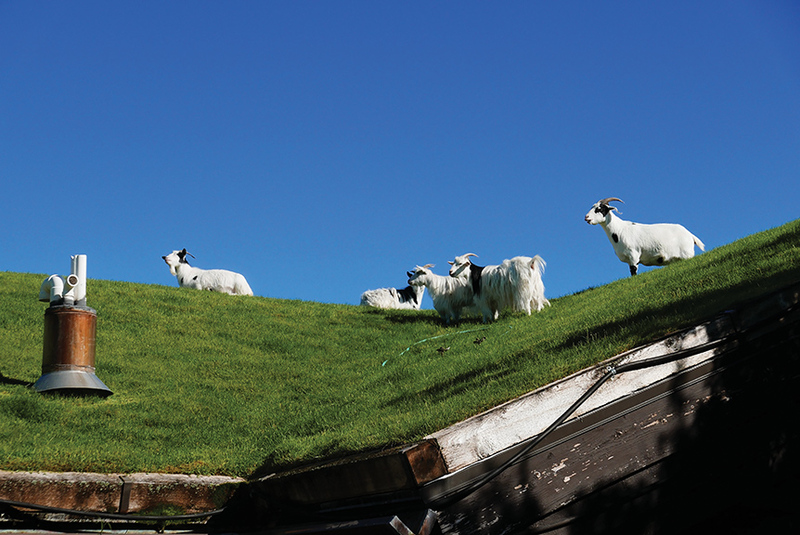 Goats spend the better part of the day grazing on Al Johnson's Swedish Restaurant's sod roof in Sister Bay. 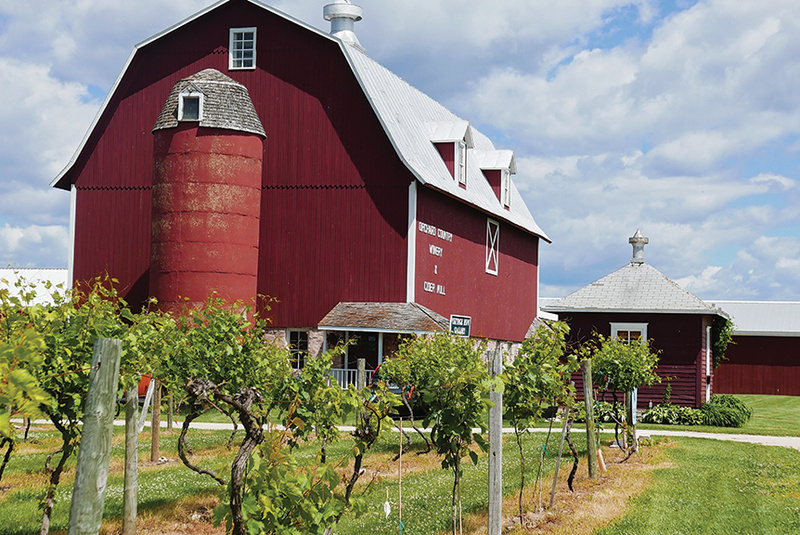 Orchard Country Winery & Market in Fish Creek boasts of a 100-acre family estate consisting of a winery, cider mill and market. 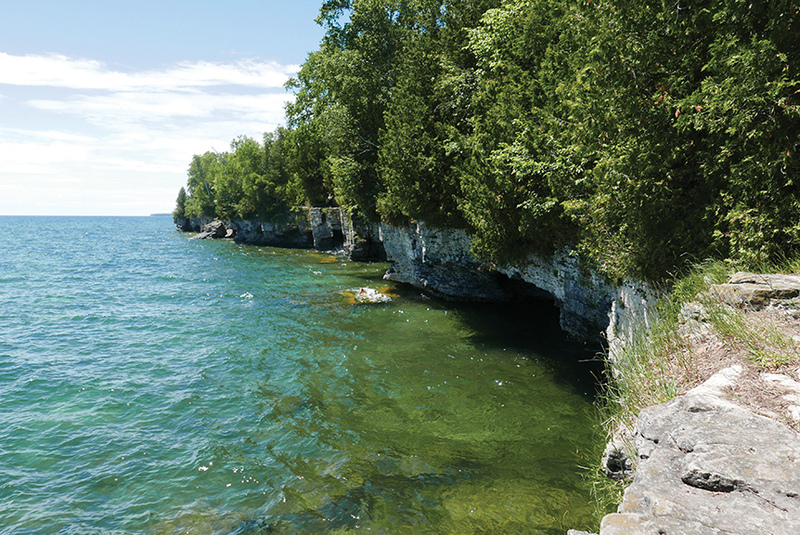 Cave Point County Park is host to limestone sea caves, miles of hiking trails and rock stacks. Crystal blue skies, rolling fields of cherry trees, the sound of waves lapping on a sandy shore….and goats on a roof. Yes, goats on a roof. 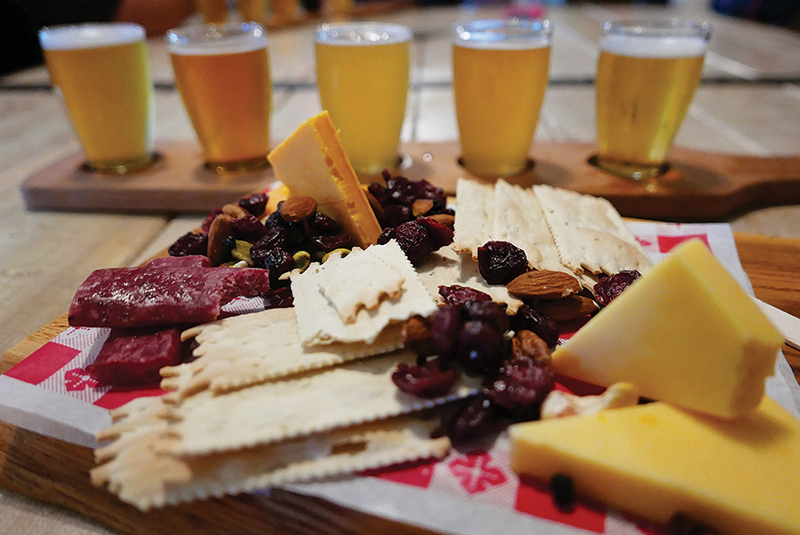 Throw in a beachside polka band, hand-crafted beer, wine, cheese and a smattering of red barns and what do we have? 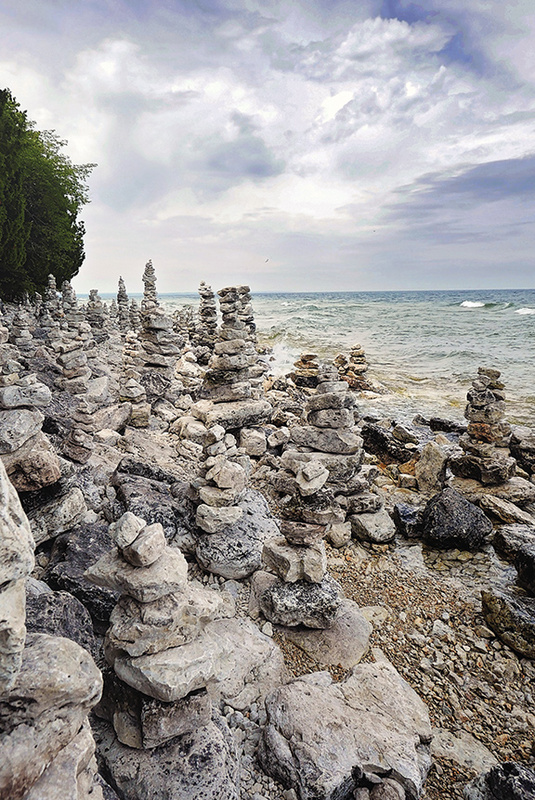 Door County, Wisconsin. 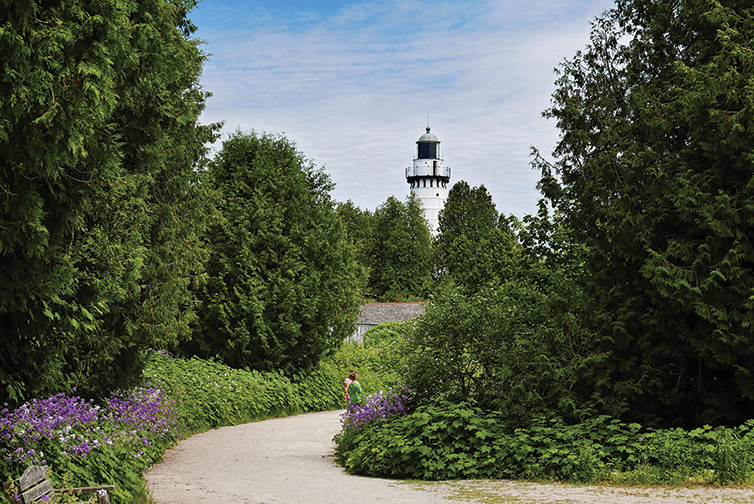 Door County is nestled in the center of the upper Midwest’s “inland seas,” boasting 300 miles of scenic shoreline, 53 beaches, bluffs, limestone caves, towering lighthouses and 34 named islands. It invites visitors to meander from small town to small town taking in arts, culture, nature and nostalgia. In fact, St. Louis families have been making the trek to the town of Fish Creek since the days of the horse-drawn carriage, playing an instrumental part in kicking off tourism in Door County. This I learned while experiencing my first ever “fish boil.” Sitting around a large fire topped with a boiling cauldron, I met the local Door County historian who informed me of St. Louis’s pivotal role in Door County tourism. We were at Rowley’s Bay Resort, home of the only all-you-can-eat fish boil and historical storytelling performance. An older gentleman playing the part of Peter Rowley wove the colorful tale of the first settlers as ingredients were added to the cauldron. Next, kerosene was thrown on the fire to create the “boil over effect,” and then it was time to eat! Boy, was that fish tasty! The locals pride themselves on their freshly caught white fish, cheese curds, Swedish pastries and tart cherries. 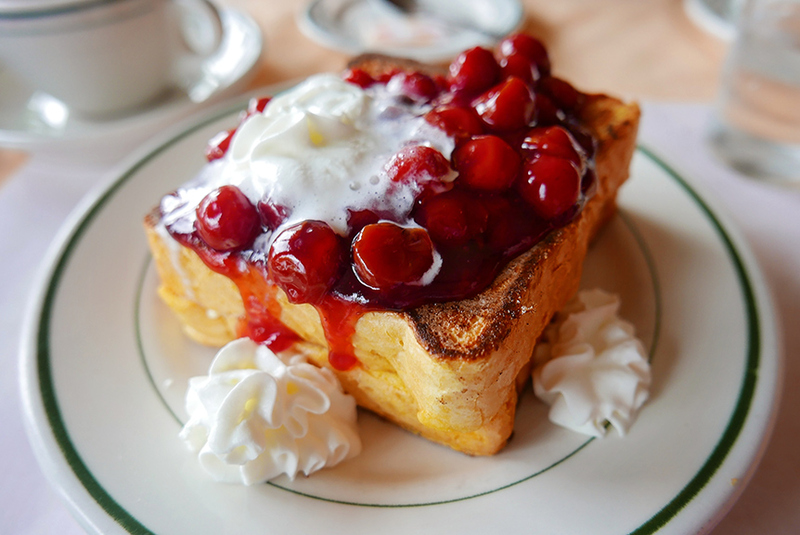 Without much effort, you could easily consume enough cherries that you may even turn into one! Handmade cherry ice cream, Swedish pancakes (topped with cherries), cherry cheddar cheese, cherry wine, cherry margaritas, cherry pie… I could go on for days! I must confess, I overdid it on the cherries. But I will say that the local cherry ice cream at Wilson’s Ice Cream parlor will make you weak in the knees. Aside from cherries, there is an abundance of delectable delights in the area, a favorite being the relaxing waterside Harbor Seafood Market. Some favorites were the dill-and-caper salmon dish and a blue cheese-topped sirloin served over a mound of garlic mashed potatoes and asparagus. They even had a special menu for four-legged doggie friends, including a sirloin with a side of kibble. Door County certainly opens its doors to pets! There are several dog parks, dog beaches and dog-friendly establishments. After a day of adventuring at Whitefish Dunes’ Dog Beach, we hopped over to the Door County Brewery in Bailey’s Harbor to sample their hand-crafted brews, Wisconsin cheese, and sit back as employees and fellow visitors came over to pet my mom’s seven-month-old giant puppy. 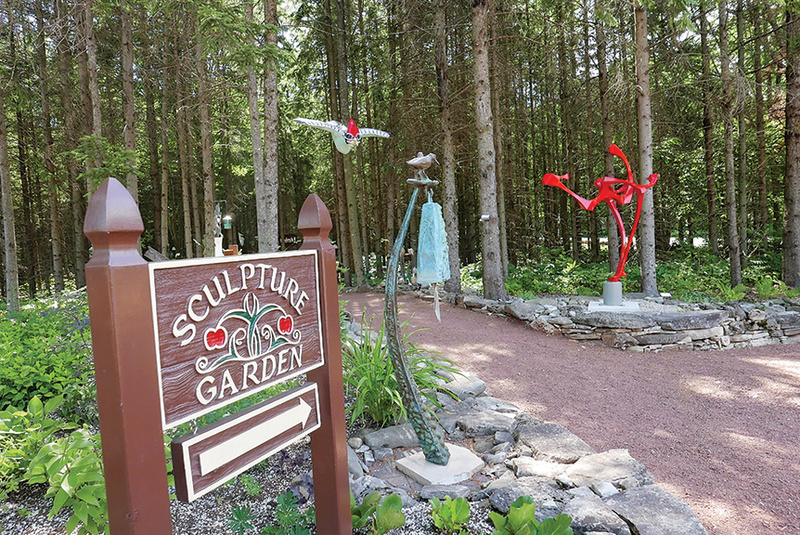 Over our beers, we had a good chuckle about our previous day at the Hands On Art Studio in Fish Creek where we learned how to weld our own lawn ornaments! I could’ve spent the whole day there doing metal work, painting ceramics, making jewelry and mosaics, but I mostly spent my time enjoying watching my mom and employee Josh Sebright construct the cutest little metal garden faerie for my mom’s garden.